Why Should You Hire An SEO Company For Your Website? Most business owners know at least some of what is involved in Search Engine Optimization for their company website, but few know enough to build and maintain a site that is fully compliant with all of the things search engines (primarily Google) want to see in order to give a website the best possible Search Engine Result Page (SERP) ranking. There is a complex set of factors called ranking signals, which can cause Google to penalize or boost your site’s ranking, and those factors change from time to time. Overall, search engines want to direct their users to safe and functional websites with content that has value to them, because that’s who their advertisers are paying to reach. 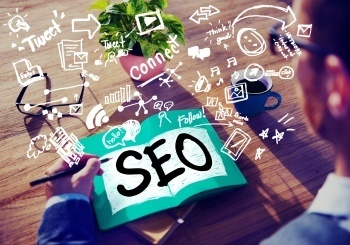 SEO practices go well beyond adding keywords to your content, and even with a simple technique like using keywords, it’s easy to get carried away and gets your site penalized for appearing “spammy” to the search engines. Streamlined Design – One common penalty business websites suffer comes from slow pages loads. Sometimes, this happens when a site has been updated for too long and it has junk code fragments causing delays and legacy plug-ins competing for bandwidth. Sometimes, it’s because there are a lot of graphics all trying to load at once. There are a lot of possible reasons for slow page loads, but whatever the cause, in order to improve your site’s SERP rankings, you need to have your site’s performance streamlined for fastest possible page loading. SSL Implementation – Having a Secure Sockets Layer (SSL) certificate for your business website is important, because Google now uses SSL as a ranking signal, meaning that sites without SSL get penalized in the SERPs. In addition, if your site has SSL, Google will display a padlock icon next to your URL in the Chrome browser, and if it doesn’t have SSL, users will see an exclamation point next to your URL, implying that they should think twice about navigating to your site. Unfortunately, when you implement SSL on an existing site, there are plenty of ways to go wrong, and Google will also penalize your site for incorrect implementation. Though there are a lot of studies using various criteria, most agree that somewhere around 90 percent of business sites with SSL are missing some critical factor of implementation, and most of those have to do with re-directs from the unsecured (old version) site to the secured one. Original, Optimized Content – Websites with fresh content are rewarded in Google SERPs. Websites with stale content or content that triggers their spam alert, or content that is published elsewhere on the web all get penalized in SERPs. Keeping a continual stream of new content on your site is important, having that content be fully original is critical, and producing quality content that readers find useful and not spammy helps build your SERP ranking and your reputation as an authoritative source. Working with an SEO company like Design & Promote, Chicago companies can ensure that they’re getting the best possible return on their investment for a business website. Contact us to request a free consultation and website audit, and learn more about how Design & Promote can help your website achieve top SERP rankings for the searches most relevant to your business.